The job types help to categorise the nature of works and make it easier to search jobs using the Type filter. The default job types offered to you are: Work Order, Inspection or Audit (to know more about them, please read Introduction to Jobs). Besides the three job types, you can create your own job types to better align with your business terminologies. You can change the job type at any stage. 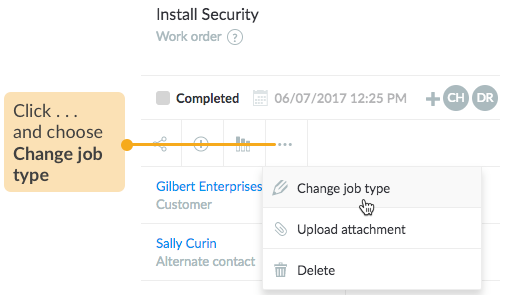 To change the job type, select the job in either List view or Map view. NOTE: Changing the job type does not change the Job ID. 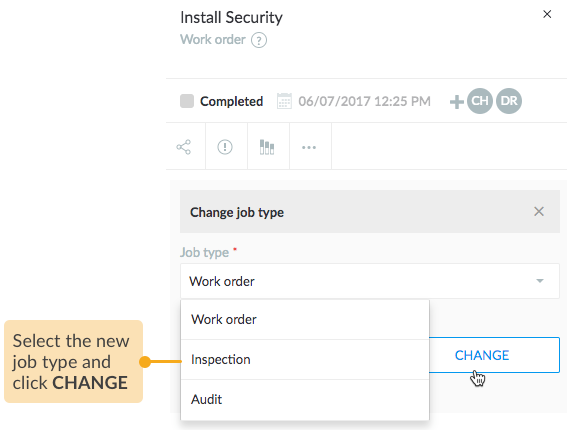 For example, if WO-000002 is changed from Work Order to Inspection, the Job ID will remain WO-000002, and will not change to INS-00000x.